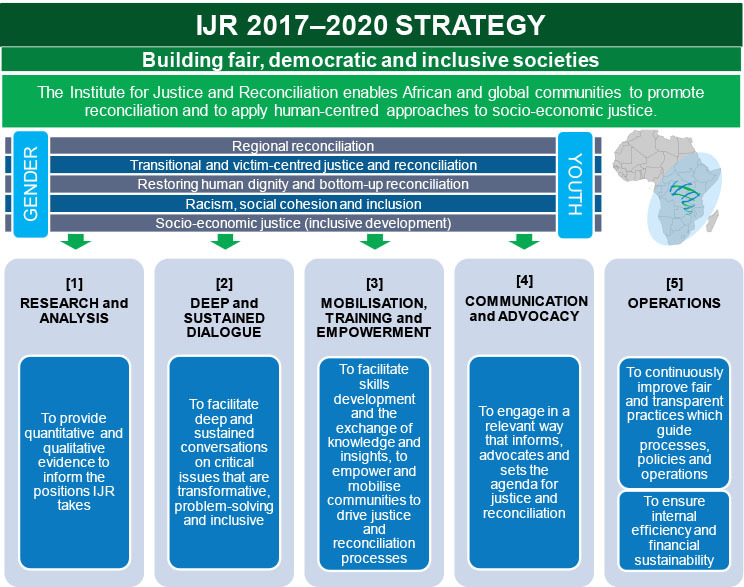 IJR in 2017–2020 crafts and implements interventions according to five themes, relevant to its work in South Africa, Africa and increasingly globally. The five priority themes will continuously be addressed with an added emphasis on the cross-cutting themes of Youth and Gender. Research outputs will be available later this year. Follow our social media channels for updates.